This small town packs a big punch when it comes to dining. Foodies will want to maximize the flavor with this comprehensive itinerary that highlights Goleta’s many restaurants and dining options. Foodies flock to Goleta. The rich soil, nearby Santa Barbara Channel, and warm, sunny climate render this area incredibly bountiful in producing fresh flavors. If you want to taste your way through town, we’ve provided you with a comprehensive guide to some of Goleta’s distinguishing restaurants and farmers markets. While the sustainable and locavore trends have really only just caught on across the country, they have been a way of life in Goleta as long as people have dined here. Nearby ranches, farms and rich earth make it easy to source local, organic food. Enjoy some of the area’s natural flavors and healthy menus with this itinerary. Head to Camino Real Marketplace every Sunday from 10:00 a.m. – 2:00 p.m. for the freshest produce around. 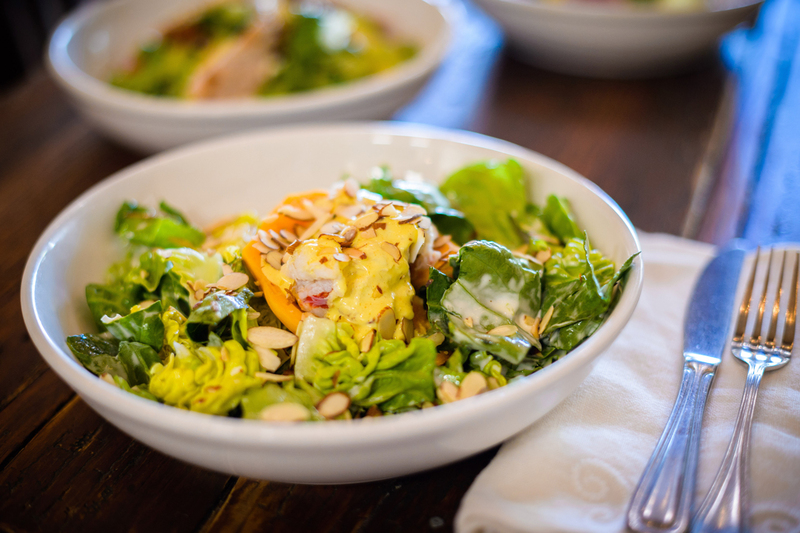 Backyard Bowls places special emphasis on organic, sustainable, and locally produced foods. For a fresh, flavorful way to start the day, try one of their famous acai bowls, all of which combine unique flavors, and pack a powerful punch. Grilled Salmon Pesto, Ranchero Chicken Quesadilla, Albacore Salad. These are just a few of the choices you’ll find at The Natural Café, which offers everything from apps to sandwiches, burgers, pizzas, and poultry and fish dishes. Everything is made with the freshest, healthiest and most natural ingredients available.